Happy 4th of July USA Independence Day greeting card with waving american national flag and hand lettering. 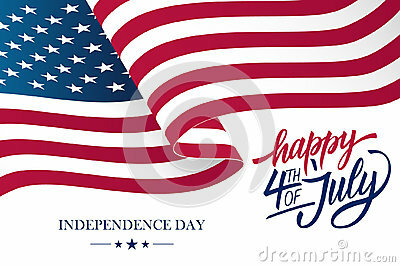 Happy 4th of July USA Independence Day greeting card with waving american national flag and hand lettering text design. Vector illustration.